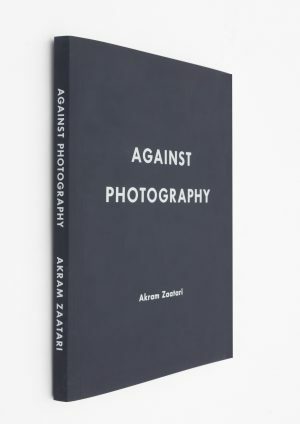 Photographic objects have been the centre of Akram Zaatari’s artistic practice since 1995. Photographic formations or emergences, as he calls them, are the focus of this publication: enigmatic objects that bear traces of past events and accompany people through key moments in their lives. Cherished at times, destroyed at others, photographs are capable of provoking diverse and extreme reactions. Initially, capturing instances, they change over time. The perception of an image changes, but sometimes the physicality of the object itself is also altered as a result of its contact with the natural, social and political environment. The desire to own these images, to look for them and collect them, is rooted in a spectrum of motivations from the personal to the commercial. two archival practices, institutional and artistic. Over the past 20 years, the AIF was the medium through which many of Zaatari’s projects and interests were developed.